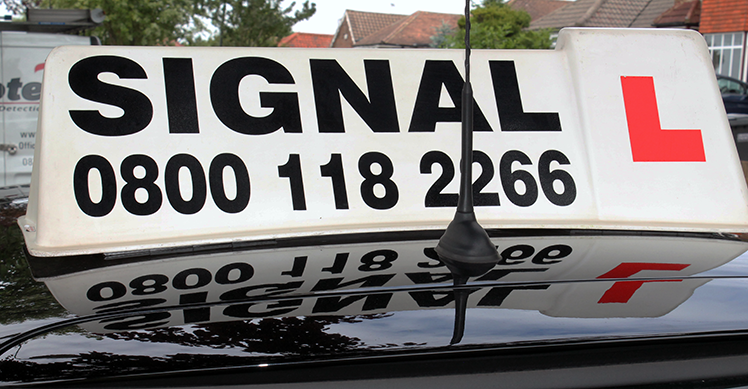 New Addington is an ideal area to learn to drive with Signal Driving School. The layout of the roads give a complete beginner a chance to practice the basic handling of the vehicle whilst learning to drive on nursery routes (quiet roads) and then gradually working their way up to driving on major roads. New Addington has a great variety of basic and advanced routes. This means the driving instructors at our driving school do not need to waste precious lesson time travelling to other areas like West Wickham or Shirley to start your driving lessons. Our driving instructors have excellent local knowledge of the New Addington area and are able to guide their students enabling them to easily negotiate the local roads. With the location of New Addington’s Central Parade, learner drivers can comfortably adapt the skills they have learnt on the quieter roads to drive on major roads like Lodge Lane leading to the A2022 Kent Gate Way. Once experience is gained learning to drive on New Addingtons residential streets there is plenty of practise to be had in more advanced driving skills. With all the local roundabouts and dual carriageway leading away from New Addington, this is a great place to learn to drive. Whilst taking your Driving Lessons in New Addington with Signal Driving School , our driving instructors are spoilt with roads in which to teach you the skills needed for the reverse parking exercises. These will need to be demonstrated on your practical driving test. They include; parallel parking, left reversing round the corner, turn in the road and bay parking. All our Driving Instructors in New Addington are CRB checked and registered with the DSA (Driving Standards Agency).